Tesco has announced the launch of its app for Google Glass, becoming the first major British retailer to experiment with wearable technologies. Tesco Grocery Glassware is linked to customers’ Tesco.com grocery accounts. Users are able to browse products, view nutritional information and scan the barcode of items they are running low on using the built in camera to add it to their online shopping basket. Users can then review their baskets and complete their order via their desktop, smart phone or tablet device. Tesco Labs began to experiment with a prototype last June, and it is now available to download for free via the built in MyGlass app or on desktop. Tesco doesn’t see Glass becoming the only platform that shoppers will use. 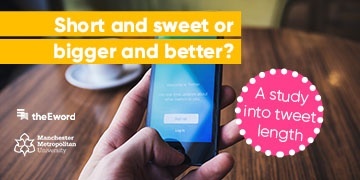 Innovation Engineer at Tesco Labs, Pablo Coberly said that the supermarket wants customers to be able to shop “whenever, however they want”, and that the app “integrates shopping into everyday life”. The launch this week comes after an effort to create savings of £250m per year were revealed by the retailer, including the closure of 40 of its worst performing stores, the sale of Blinkbox to TalkTalk and ongoing talks regarding Dunnhumby, the data company behind Clubcard. The launch of Tesco Grocery Glassware comes during an uncertain period for Google Glass which went on sale in the UK last June, priced at £1,000. So far, it has failed to really take off in the UK. Twitter withdrew their support in October last year and it is now no longer being sold through Google’s Basecamp stores, where customers could previously purchase Glass in person. While currently there isn’t an abundance of Glass wearers in the UK, the ambition of Tesco to integrate Glass into the lives of customers by complimenting existing online shopping platforms might be a positive step in increasing its popularity in the future.